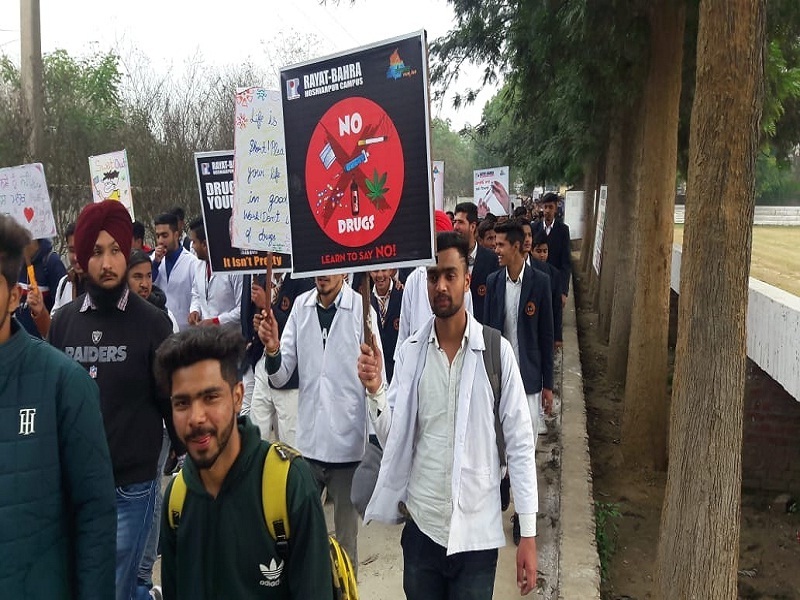 Under the leadership of *Honourable Chairman Sir RBGI S. Gurvinder Singh Bahra* and under the able guidance of worthy *Campus Director Rayat Bahra Hoshiarpur Campus Dr. Chander Mohan Sir*, Rayat Bahra Hoshiarpur campus successfully organised *Anti-Drug Addiction awareness rally today 1 Feb 2019 at Garhshankar* in association with *SDM office Garhshankar*. More than *1000 Sr. Sec. students of Garhshankar* area enthusiastically participated in this Rally. Students were made aware with the ill effects of drugs. 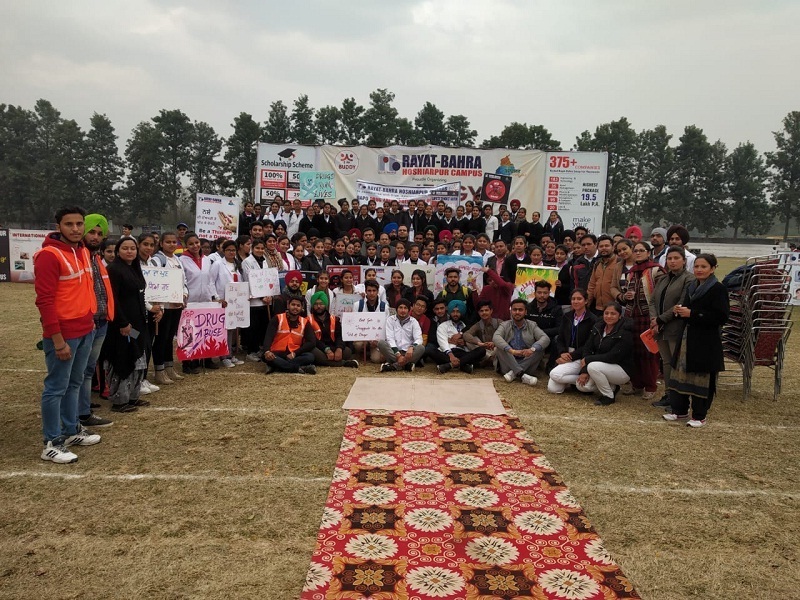 Drug abuse drama was presented by students of Doaba Public School, Parowal. The *Award Ceremony and Honour Ceremony* was held on stage. Sincere thanks to *Dr. H.P.S. 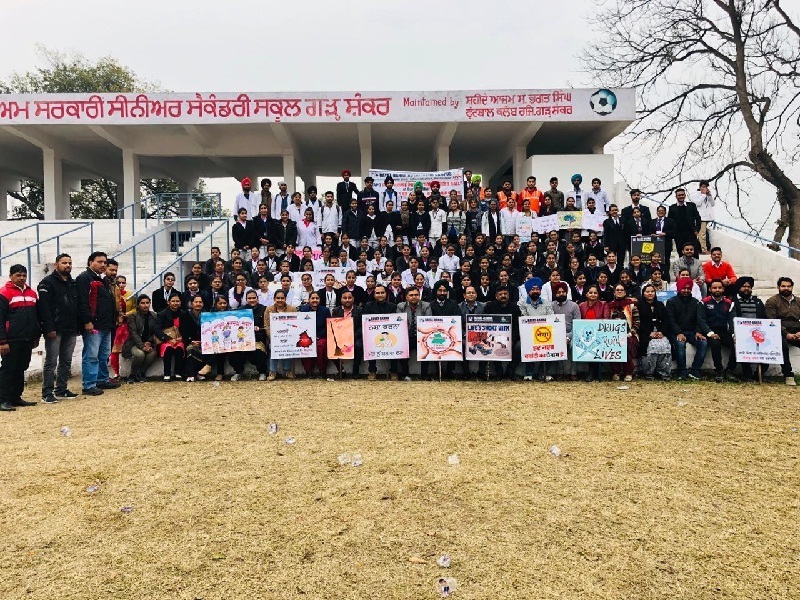 Dhami, Mr. Kuldeep Rana, Mr. G. S. Bedi, Prof. Meenakshi S. Chand, Prof. Manoj Katual, Dr. Kuldeep Walia, Mrs. Prem Lata, Mr.H.S.Jaswal, all RBGI team , faculty members and staff members along with well supportive, self motivated students for their wonderful coordination in making this event a gala success. Some of glimpses of the event.